Millions of people in the developing world face a life in pain with no hope of treatment. Bridge2Aid is working to change this, and here are just a few examples of the people now gratefully living with access to emergency dental care because of Bridge2Aid’s training programme. 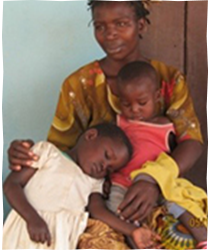 36 year old Neema lives in a village where she farms maize and pigeon peas in with her husband and six young sons. Neema had been suffering with dental pain for 2 years but was afraid to travel the long distance to a district hospital seek help because of fear for her life. Because Neema is one of Tanzania’s albino population she is aware that travelling far outside her home community could be dangerous. We were able to help Neema because she heard an announcement in her village that Bridge2Aid would be carrying out training at Riroda health centre, just 30 minutes walk from her home. As part of our training programme we were able to carry out a tooth extraction to get Neema out of pain and she thanked for Bridge2Aid for making this possible for her. Magedalena makes a living growing cassava, maize and bananas. This is how she supports her two young sons. 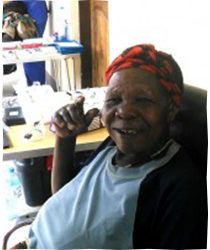 Three days before she came into our clinic she had a motorbike accident and had hurt her teeth. As we were training rural health workers in her area she was able to seek help quickly and at no cost. We were able to solve the problem by removing two teeth. Magedalena told us that the last time she had been in pain with her teeth she had waited for 4 years to seek help because she was afraid of the great cost of treatment and travel. Now that we have trained local people in emergency dental skills Magedalena shouldn’t need to worry about seeking help for herself or her sons in the future. Nyakoboso is 75 years old and lives in a small rural village. 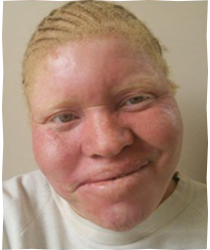 She suffered from dental pain for more than 3 years because she had no access to treatment. Nyakoboso told us that she was only able to eat soft food because of the pain in her mouth – and her diet now consisted mainly of porridge. When she heard that treatment had become available in her local area she was overjoyed. The Bridge2Aid trained rural health officer was able to safely extract the tooth that was the cause of so much pain. 63 year old Aisha is a farmer who cares for her 4 grandchildren. She came to the clinic where we were providing training because she has been living with constant dental pain for three years. Before we came to the area access to treatment was simply too expensive and too far away. Aisha said that the pain she suffered was so great that sometimes she was unable to care for her grandchildren, sometimes even unable to do the work to provide them with food. Our newly trained rural health workers found that she had three teeth in an advanced state of decay and we were able to extract them to stop the pain. 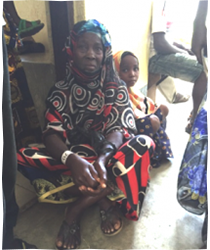 Aisha was delighted to be able to return home to her grandchildren free from pain for the first time in years. Why do we perform extractions? In the UK a dentist’s priority would usually be to save teeth. Unfortunately in the developing world extracting the tooth is usually the only practical option – as leaving it in place would only cause further suffering and complications. We train health workers to carry out emergency care in rural areas with very few resources available. The skills that Bridge2Aid pass on means that basic dental provision is available in these areas for the long-term future. At 27-years-old, Yasinta is married with two children and farms cotton, cassava and potatoes for a living. She had been living with dental pain for an incredible four years, all the while trying to trying to raise her young family and earn a living. Because of the costs involved in sourcing treatment, Yasinta was unable to seek help prior to hearing about the free dental care available in her community during the training programme. Yasinta walked for two hours with her young children to be treated by a Health Worker who was being trained by a Bridge2Aid volunteer. 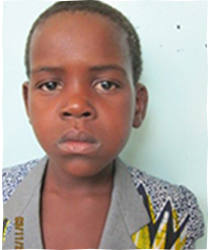 Following a diagnosis, Yasinta had her problem teeth extracted by the Health Worker, under supervision. 7 year old student Mariam had been living with agonising toothache for several years. Her studies were suffering and Mariam’s family was concerned about the swelling to her face which was developing quickly. Mariam’s Mother, a cotton farmer hired a bicycle for 3000TSH (approximately £1.17) upon hearing about the available free treatment, and cycled for 4 hours with Mariam to Igalukilo to visit their local health Worker as he received training in emergency dental care. An examination confirmed that Mariam required an extraction, which was carried out at the Health Centre. After 4 years of pain and sleepless nights, Mariam’s pain was finally relieved. 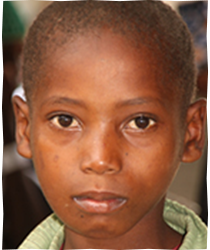 Joseph, from the Geita district, Tanzania, is 14 years old and studies at the local school. 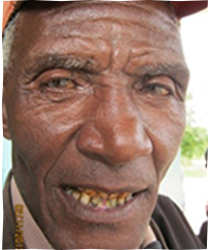 Joseph had complained about his toothache for two years but due to the lack of access to safe emergency dentistry in his community, had been unable to receive any sort of treatment. Joseph found his school work extremely hard because of the pain. Sleepless night and inability to focus on school work the following days were becoming a real problem for the teenager. A 2 hour walk to his local Health Centre in Nyangw’ale, Tanzania resulted in safe treatment and a restored smile for Joseph. Village elder William is 74 years old and visited us in the Magu district, Tanzania. William farms maize and explained that his harvest had suffered due to the debilitating dental pain he had been suffering for several years. William had stoically put up with the pain as treatment was simply too expensive. 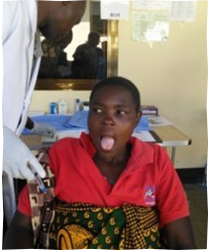 William saw his Health Worker as she was participating in Bridge2Aid’s training programme and had his problem teeth safely extracted. William was overjoyed and couldn’t quite believe that years of pain were relieved in such a simple procedure. Adopt Bridge2Aid as your practice charity for a year! Provide us with your name and email address and we'll send our newsletter to you each month. Bridge2Aid Australia is registered as a charity with the Australian Charities and Not-for-profits Commission (ACNC). Our charity ABN is 139987-848.